Located in a prominent setting on Johnston Street in the heart of the village shopping strip, our Annandale premises make an impact with their custom interior fit-out and state-of-the-art design. Our close-knit team of highly skilled sales and property management professionals is dedicated to servicing clients with the highest degree of professionalism and expertise. 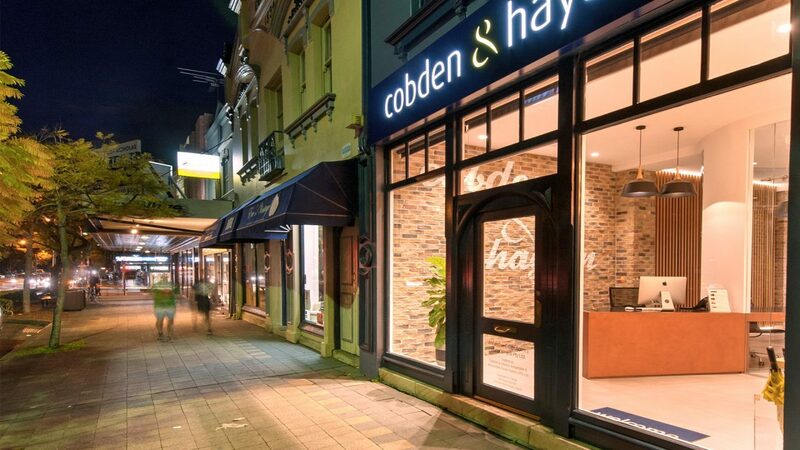 Cobden & Hayson is known for its contemporary approach, attention to detail and ongoing commitment to the local area that we love being part of, and we uphold this culture wholeheartedly. Contact our Annandale office today.